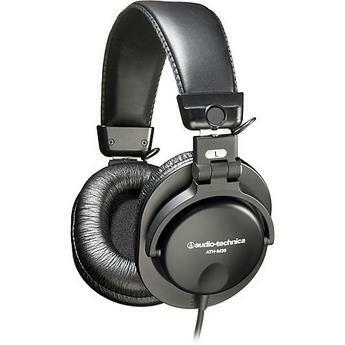 The Audio-Technica ATH-M35 Dynamic Stereo Monitor Headphones are lightweight, fold down, and provide around-ear cushion. The headband is padded and adjustable. These headphones are ideal for film sets, music, and around the office.